4 Lb Bag Made From All Natural Non-Toxic Minerals. Super Absorbant And 99% Dust Free. 8 Lb Bag Made From All Natural Non-Toxic Minerals. Super Absorbant And 99% Dust Free. All-metal small pet cages are available in one- and two-level models Double doors allow you comfortable inside access and easy cleaning Rolling casters make this small pet cage easy to move All-metal small pet cages offer space and room to explore. Your small pet will love climbing and exploring her home on the safe, comfortable 1/2"-spaced horizontal wires. Height-adjustable shelf with removable, easy-clean plastic insert gives her ample space for playing, resting, and interacting with you. Dual-locking door latches keep her safe. Full-width double doors simplify cleaning, feeding, and accessing your pet - no more squeezing in to clean the corners of this cage. 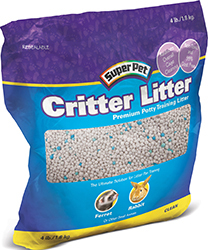 Ideal for rats, chinchillas, sugar gliders, hedgehogs, and other similar-sized pets. No-tool assembly required. Sturdy square-tube frame and 1/2" horizontal x 5-3/8" vertical wire spacing. Gray quartz hammertone finish. Cage Includes Measurements Single Critter Nation 1 wide-expanse shelf, 1 full-width plastic floor pan, 1 ramp, 1 full-width double door, and stand with storage shelf and locking casters.24" x 36" x 39" high Double Critter Nation 2 wide-expanse shelves, 2 full-width plastic floor pans, 3 ramps, 2 full-width double doors, and stand with storage shelf and locking casters. 24" x 36" x 63" high Please click on "More Information" for assembly and cleaning instructions. Coc chopper exercise toy for hamsters and gerbils maneuvers on flat surfaces or on the hamtrac. 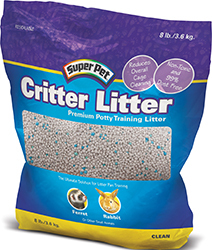 The Critter Sipper is the clear choice for thirsty hamsters, gerbils, mice, and other little friends! The clean and simple design of this water bottle is easy to install and use, diswasher safe, and completely universal - it can be clipped or hung from any cage or aquarium!